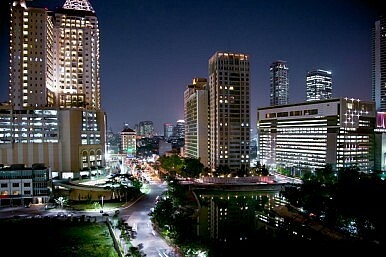 A star performer for much of the last decade, Indonesia’s economy now faces serious issues, not least a major bubble. Barely a year ago that Indonesia was considered one of the most attractive emerging markets in the world. Thanks to a decade of banking reform overseen by President Susilo Bambang Yudhoyono, the fourth most populous country in the world had managed to cruise through the global financial downturn with impressive results. What a difference a year makes. Today, Indonesia faces some serious economic headaches, mostly linked to an emerging markets bubble. The situation threatens to get worse before it gets better. Yudhoyono began his two terms as president in 2004, tasked with transforming Indonesia’s economy into one that was not excessively reliant on exports, yet which could take advantage of the country’s bounteous natural assets. Successful reform of the banking sector, coupled with China’s insatiable appetite for resources, meant that by 2011, the archipelago was one of the best performing economies anywhere in the world. Massive debt reduction over the decade made headlines, with government debt falling by 35 percentage points from 2004, to just 25 percent in 2012, and external debt plummeting to 30 percent, down from 140 percent. Numerous other data prompted analysts to forecast annual GDP growth of up to 7 percent. The real game-changer came when ratings agencies Fitch and Moody’s gave the country investment grade classification. The upgrades, buoyed by strong data, instigated a torrent of foreign investment. By mid 2011, more than a third of government bonds were foreign-held. Widespread participation and attractive yields fuelled impressive growth, and borrowing costs declined for the majority of domestic parties. The high was to be short lived. With commodities accounting for more than two-thirds of Indonesia’s exports, any major shift in global commodities markets was bound to have an outsize impact. This came on two almost certainly related fronts: a steady slide in commodity prices and a shift in China’s economic model. The Chinese economy – the world’s second largest – is in a state of transition. A consumption-led strategy is seen as being the route forward, rather than the traditional investment-led one. This inevitably requires less of the natural resources that have been such a driving force for Indonesia. Recent Chinese data has been mixed, although economists are confident that the country is beginning to focus attention on consumer spending. In the meantime, May of this year heralded a dramatic change in Indonesia’s fortunes, with the Federal Reserve Chairman Ben Bernanke announcing the potential tapering of the Fed’s quantitative easing program. This could expose weaknesses across all emerging markets, which have been urged to shore up their economies in preparation. In July, Indonesia’s trade deficit widened to a record $2.3 billion, considerably worse than had initially been expected, and compounded by the government’s subsidization of fuel. Prices were raised late in June, but the decision did not come soon enough. The concern now is that a vicious circle could emerge, in which depreciation causes faltering sentiment and rising inflation, which in turn encourages depreciation. The bubble could very well burst in the near future, and we can look to tapering worries and the threat of a credit downgrade as potential catalysts. While the country faces multiple challenges, it is important to remember how far it has come.